Not too long ago, on March 31, 2016, tragedy struck a busy junction in Kolkata. A bridge that was under construction suddenly collapsed, killing 26 and injuring several others. Experts from a fact-finding committee recently stated that it was due to a combination of faulty design, bad quality raw material and inadequate supervision. Dr Poonam Kumari, a researcher in mechanical engineering, who I met at her office in IIT Guwahati, brought up this episode to stress on how important her field is. 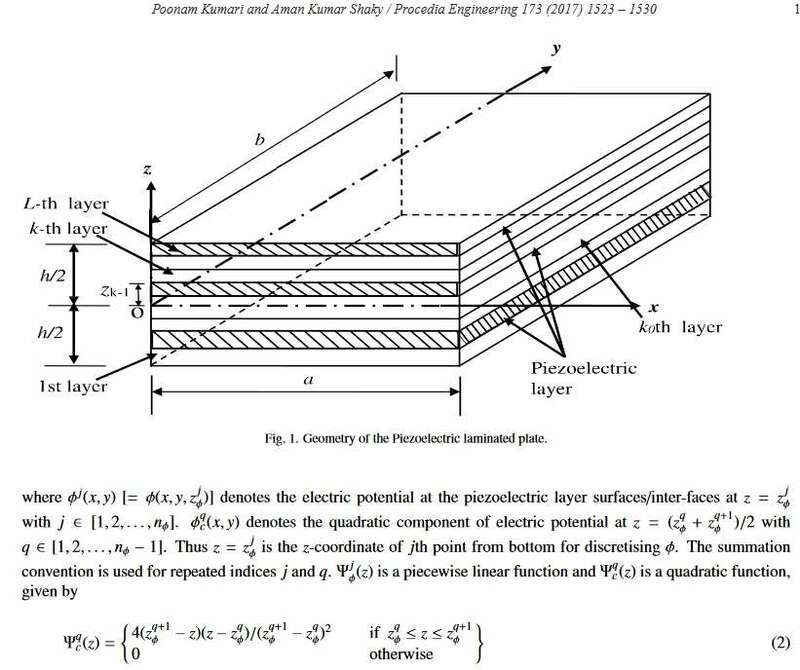 Poonam now works on ‘smart’ materials, especially piezoelectric materials. These are materials that have the property of generating electricity when a load is applied on them. The principle of piezoelectricity is nothing new; it’s likely we have encountered it frequently, whether it is in quartz watches which use the property to keep time, or the microphone in laptops which use it for voice recognition, or ultrasound machines in hospitals. Poonam’s investigations fall under the domain of solid mechanics, the study of how solid materials get stressed and deformed when a load is applied on it. “If we are sitting on a chair, we are applying a load on it,” she elaborated. “[Before it’s usage is okayed,] we have to find out whether this chair will break or not. These are the kind of questions my research area addresses.” For this, she doesn’t need to build hundreds of versions of a solid material to test them against various stresses. She does this all by building mathematical models. Mathematical models involve a set of ‘governing equations’. Just like a point or a line or a circle can be expressed in the form of an equation based on its position and other characteristics, any solid material too can be described in the form of an equation based on its various features. Let’s say Poonam wants to study how suitable a type of steel is for the aerospace industry. The governing equations that Poonam comes up with will be able to accurately describe how the steel will behave when one or more parameters are tweaked – for example, will the steel hold if it is amalgamated with some new material? The more complex the equation, the more accurate a representation of reality that model is, ie the higher the chances are that the prediction is correct. That’s why Poonam prefers three-dimensional equations. “In 2D and 1D analysis, we make too many assumptions – for example we may assume the thickness is constant… 3D analysis considers the body as a whole – the whole chair, for example. 3D is the closest to experimental,” she said. Poonam uses computer languages like FORTRAN and software like MATLAB to make and solve these equations. Each time she solves the equations for a material, she has succeeded in predicting the behaviour of that material. These equations are then used as guidelines on-ground by application engineers who make products with those materials: builders use them to calculate if a 10-storey building will withstand an earthquake, car companies use them to design crash tests, and so on. 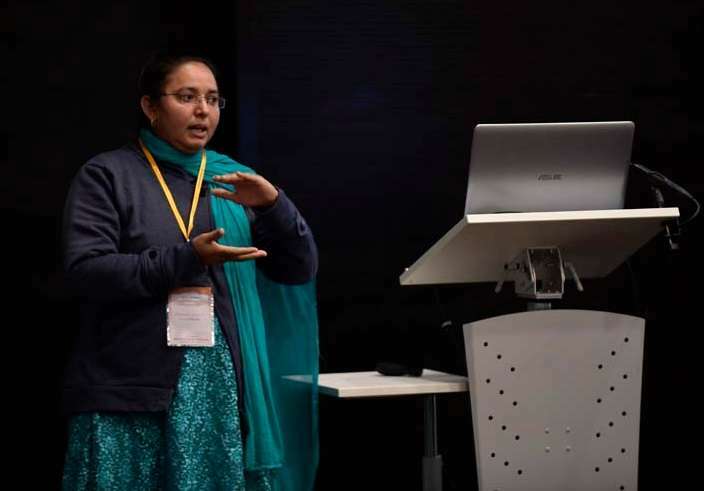 The Kolkata bridge collapse is a grim reminder of the need for such collaborations between application engineers and researchers like Poonam. The temptation to compromise on advised procedures and quality of material may be high when deadlines loom, but the price to pay is much worse, as was seen. “These are all important criteria. Accidents happen due to wrong calculations or not following the calculations,” she warned. I walked out of IITG that evening, with a renewed sense of gratitude for the engineering sciences. Now I knew that my trust in all infrastructure – the floors I walk on, the vehicles I ride in – came from nothing more than blind confidence that the engineers involved in its design got their calculations right, and that the builders were faithful to the guidelines provided to them. According to Poonam, a big misconception about mechanical engineering is that it requires those who pursue it to possess physical strength. What is important is a knack for numbers. “Everything is calculation… there is a lot of numerical work involved and this is the main thing. If someone is good in maths, then they can go for mechanical,” she revealed. Poonam continued to buck the trend in her village by choosing to pursue engineering. She claims that the field was still quite foreign to the people in her village. Her Hindi teacher, convinced of her potential, had to visit her home to persuade her parents to send her to college and invest in the relatively expensive course. When Poonam finally sunk her teeth into the mechanical engineering course, she realised that all the fears were for nothing. “In the first semester, we go to the workshop but that is common across all streams of engineering. Even then, there’s no need to use your own strength na… we only use machines and equipments. It’s nothing special, we just take readings. It’s just like driving a car. Girls can drive cars, can’t they? Is there any difficulty in applying forces? I would like to say that all that matters is that you are good at maths.” And Poonam had no difficulty there since it was the subject she loved the most. There is no need to use your own strength in mechanical engineering. We only use machines and equipments to take readings. It’s just like driving a car. Girls can drive cars, can’t they? Is there any difficulty in applying forces? They hired me to start the first assembly line with women workers. Until then there were only men who worked in that company on the shopfloor. By the time she went to Canada, Poonam was married and already had her first child. During her year away from family, she came to realise something. “At home, I used to think that my family, children, were a hindrance to my research. But in Canada, though I was alone, I realised that I still could not fully concentrate or work for 16 hours a day just because I had all that time. My family was actually refreshing me. This is required. If not for them, I cannot work.” While in the end of her one-year stint in Canada, she applied for the opening at IITG and returned to join the institute. Even if they had any initial apprehensions about her unconventional choices, Poonam’s parents were a big support all the way. One of her daughters stays with them and they have guaranteed her childcare support at any point in the future, too.